Researchers have said that the number of lakes that freeze over the winter is decreasing and will continue to decrease the warmer the global temperature becomes, so much so that as many as over 200 000 lakes in by the end of this century if global temperatures rise by 8C. Many lakes in Canada, USA and Northern Europe are seeing this effect, including the Great Lakes. When a lake does not freeze over it is more suscepitble to a larger amount of water evaporation, reduced oxygen amount in the water as well as a recuded water level. The lakes also become warmer in the spring which can cause huge algal blooms. All of these cause a chain reaction that effects everything in and around the body of water, the ecosystems will not run as usual because they depend on certain factors and those factors will change, therefore ruining the ecosystems. The key solution to this problem is the air temperautre and maintaining it at an ideal degree. I think this article outlines just how much human activity is effecting our earth, and how everthing is so interconnected and effects so many things, almost resembling dominios, one falls and every one after that will fall until there is something to stop their path. I believe in order to stop that dominio effect, it will not be one single solution but I do believe it will be one single path blocker and that is human kind. I agree with your stance behind this topic. Our earth continuing to warm due to our actions as human beings will cause some coastal regions in the near future to progressively become underwater. Not only does this warming influence our lakes, but our glaciers, too. Glaciers are on the risk of melting away from larger masses and travelling towards out lands. This would be the start of mass floods. The burning of fossil fuels will continue to warm up our planet at an alarming rate, causing these algal blooms to overthrow our lakes. This dramatic altering in the species count will shift our ecosystems in a way that we are not prepared for. Like said above, this domino effect can only be stopped if we do something NOW. The fact a 2 degree overall increase in the global temperature does not seem like a lot to the general population is ruining our chances at fixing things. According to the article, approximately 394 million people an hour away from the shore will be influenced by this. Money is being spent in areas that will not do anything to save our lakes. The lakes are only the start of this domino effect, everything else within our ecosystems will fall, too, if our tactics remain the same. Global warming is causing extreme and unpredictable weather changes that have caused a shift in habitats, wildlife populations and various other impacts. As our dependency on fossil fuels increased, so did the number of greenhouse gases we released and the impact we have on the earth. The Thwaites expedition was a way to research how global warming would impact the mass of glaciers. This expedition to the Thwaites glaciers was only 52 days of a 5 year long US-UK research program to find out how the mass will respond to global warming. It is important as it is said to be the most vulnerable due to an off-balance of the amount of snow and ice that is melting. The melting causes warm water to get under the glacier, causing the ground underneath it to erode. This produces what is called " Marine Ice-Sheet Instability", which means that that the glacier is unstable and once it is knocked over, it can cause an irreversible decline. It is predicted that if the frozen bulks were to give away, it would add 80 cm to the world ocean height. In order to gather data on the behaviour of the glacier and the ice-water stream, they have done multiple testings by taking data in various forms. They tested the front and top of the ice stream with instruments and performed a seal tagging exercise. In the seal tagging exercise, they will capture mammals off of the islands near the glacier and they will fit them with sensors. The sensors will tell scientists how the oceanic conditions are in remote places that are in the vicinity by showing the physical environment. The other way they will be gathering data is by taking samples of the sediment cores at the front of the glacier, this gives them information about the ocean currents and the conditions it was encountering perhaps a few thousand years ago. (02-03-2019, 03:16 PM)Nicole Wrishko Wrote: I agree with your stance behind this topic. Our earth continuing to warm due to our actions as human beings will cause some coastal regions in the near future to progressively become underwater. Not only does this warming influence our lakes, but our glaciers, too. Glaciers are on the risk of melting away from larger masses and travelling towards out lands. This would be the start of mass floods. The burning of fossil fuels will continue to warm up our planet at an alarming rate, causing these algal blooms to overthrow our lakes. This dramatic altering in the species count will shift our ecosystems in a way that we are not prepared for. Like said above, this domino effect can only be stopped if we do something NOW. The fact a 2 degree overall increase in the global temperature does not seem like a lot to the general population is ruining our chances at fixing things. According to the article, approximately 394 million people an hour away from the shore will be influenced by this. Money is being spent in areas that will not do anything to save our lakes. The lakes are only the start of this domino effect, everything else within our ecosystems will fall, too, if our tactics remain the same. I thoroughly agree with you in regards to every point in your statement. To expand on your thought about money being spent incorrectly, i believe it could be argued. I agree with you in that money can be spent on factors that will help save our planet although I disagree, to an extent, on the fact that it is not being spent correctly. I think overall the fact that even a little portion of money in various nations is being spent on things like, but not limited to, helping to feed, house and care for the less fortunate. With that being said, I do agree that there needs a revision on where money is being spent in order to provide funds to things like saving the lakes. It's quite amazing how a small change such as two degrees can affect an ecosystem such as a lake so drastically. A change in temperature that we barely even notice can cause 15000 lakes to experience intermittent ice in the winter. I agree with Nicole on the fact that our actions have driven us to this extent of global warming and that it is not only our lakes that will be affected, but our ice caps and glaciers as well. 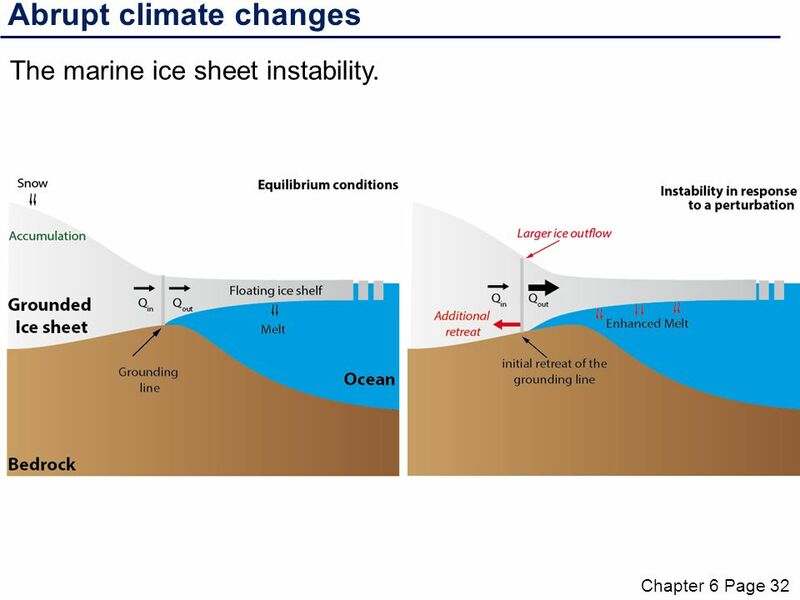 The problem of intermittent ice seems to be related to global sea levels possibly rising in the near future. This is a problem for hundreds of millions of people who live on the coast lines all over the world. Not just the 394 million who live near lakes. If 8 degrees will end up impacting 230400 lakes, imagine what another increase of two degrees could do. How much could water levels inland and on the coast rise?